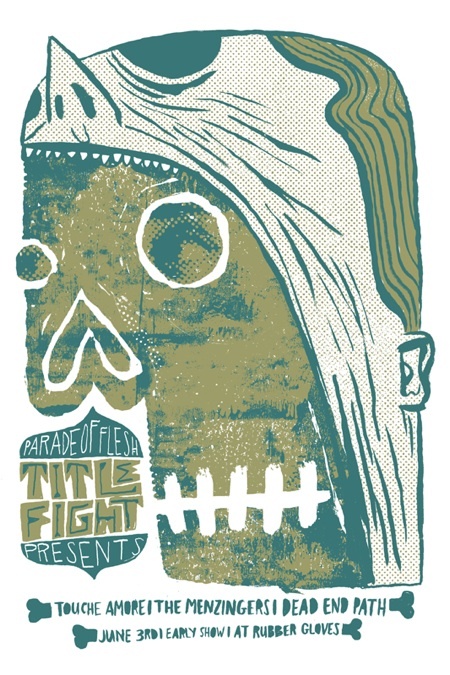 First come first serve on this silkscreened artwork by James Heimer for the TITLE FIGHT/TOUCHE AMORE show that makes a stop in Denton on June 3rd w/ Menzingers and Dead End Path. Free POSTER w/ presale ticket purchase here. Limited to the first 50 tickets. This entry was posted on May 14, 2011 at 3:14 pm, filed under News.